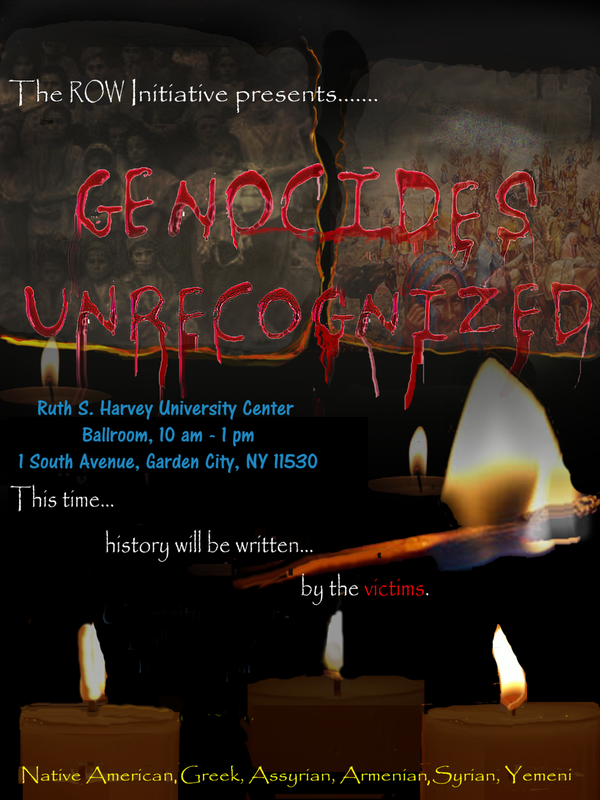 On November 8th, 2017 at the Ruth S Harvey University Center, Garden City, NY, the Reflections of War Initiative will be hosting our first official event titled Genocides Unrecognized. The purpose of the event is to talk about world genocides that have been whitewashed through time. The genocides that will be discussed at this event are the Armenian Genocide, the Assyrian Genocide, the Native American Genocide, Greek Genocide, and the current situation in Syria and Yemen.